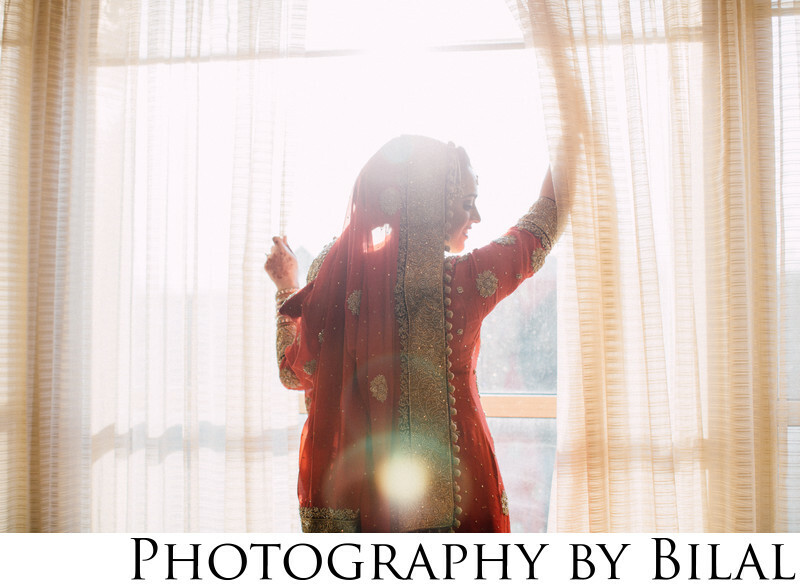 I love this bridal portrait of Humaira taken at the Westin Princeton. The sun flare really adds to the artistic style of the photo, in my opinion. I always try to give my clients an artistic style to their wedding photos.